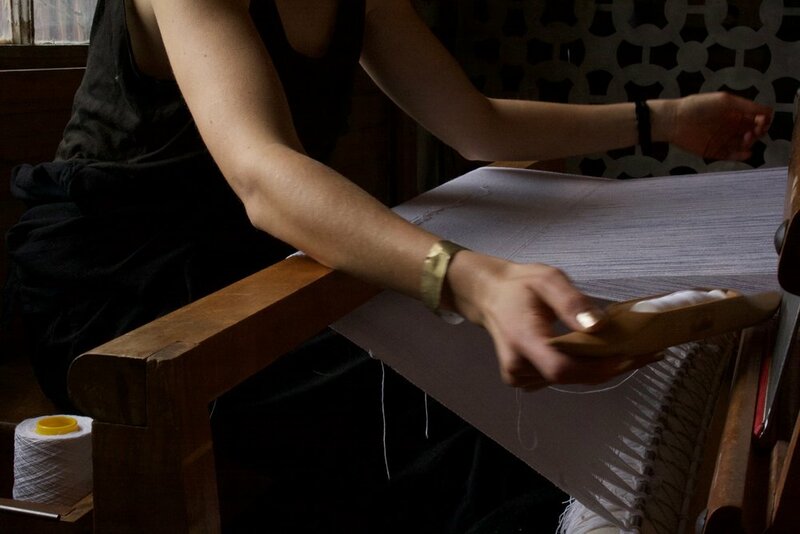 A meditation on ancient industry, time keeping, and bodily stamina, this 24 hour performance called on ritual and patience to create a record of time and space in the form of cloth. Informed and driven by its environment, the resulting textile presented in six parts reflects its factory-turned-temple container. Our human understanding of time is rooted in our body as it relates to the cosmos and as it relates to its creations. The duodecimal system through which we understand and divide the fourth dimension comes to us through astronomy, lunar cycle, and our finger joints. 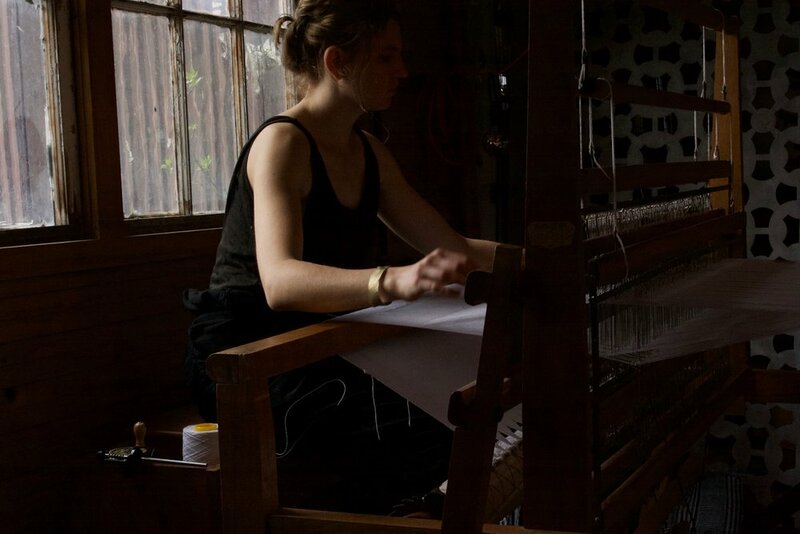 Since the invention of this ancient textile technology, the act of weaving has been understood as the physical manifestation of time. This piece honors the history and common mythologies of the craft and offers itself as a method of transporting these through our present and into the future. This piece was performed on April 28 – 29, 2018 as part of the 24-Hour Drone Fest at Basilica Hudson during which Becker wove for 24 hours straight. Every four hours the cloth was cut from the loom and hung in the main hall to mark the passing of time.